If there are no intake leaks, clean throttle body, adjust engine idle and erase engine code. 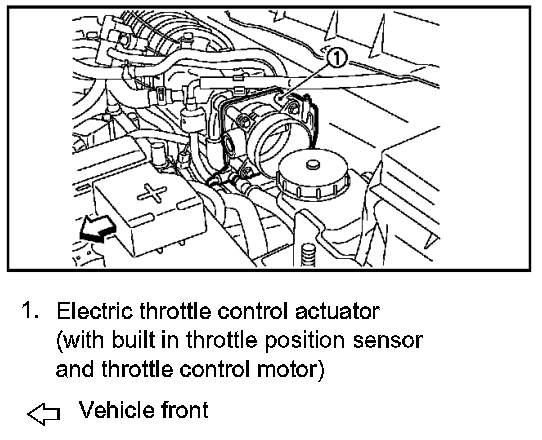 If the code comes back you may have to replace the Electric Throttle Control Actuator (Motor) to repair the problem. The idle speed is less than the target idle speed by 100 rpm or more. The Engine Control Module (ECM) controls the engine idle speed to a specified level through the fine adjustment of the air, which is let into the intake manifold, by operating the electric throttle control actuator. The operating of the throttle valve is varied to allow for optimum control of the engine idling speed. The ECM calculates the actual engine speed from signals of crankshaft position sensor (POS) and camshaft position sensor.